Winter…Frost outside, fire in the fireplace, soup on the stove, the scents of evergreen and peppermint in the air. We are finding ourselves inside a lot more these days, grateful to be cozy and warm together. Now that it is chilly and wet outside we are finding new festive ways to play and learn inside. 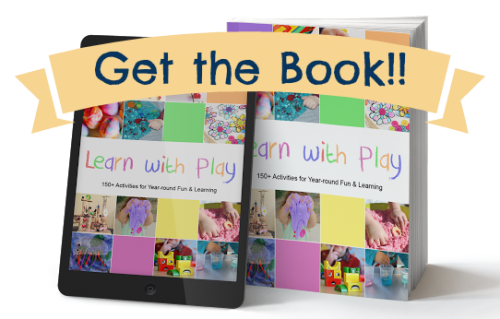 Last week I posted a new way to make a fun squishy sensory material called Play Gel. 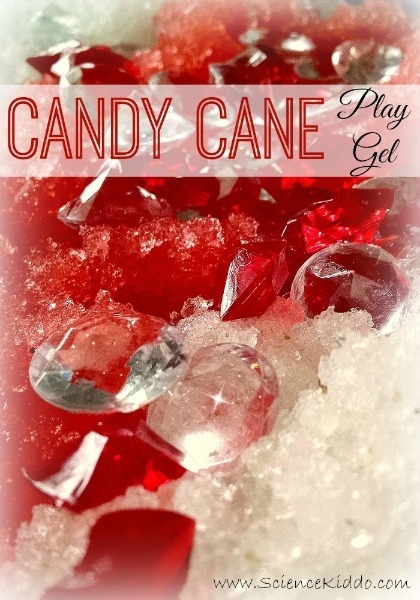 This week I am bringing you a festive candy cane twist on our new favorite scientific sensory material. 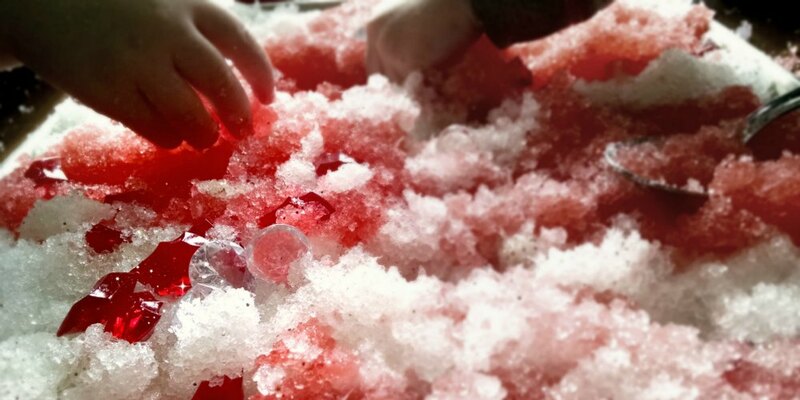 You can make Play Snow using one of two methods. 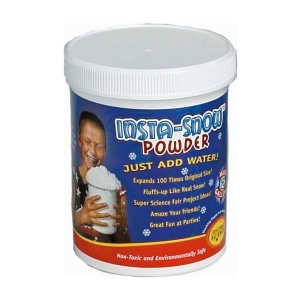 You can either buy it in the form of Insta-Snow Powder or Sodium Polyacrylate and follow the directions on the package or you can grab a clean diaper and follow the directions in my original post. All of these products are made of sodium polyacrylate and you get the same fluffy, white, squishy, beautiful snow-like gel from all of them. Personally, I think it’s more fun to rip open a diaper (plus it’s less expensive! ), but some people find that strange and opt to buy the powder straight. We used two Luvs size 6 diapers and it probably made 12 cups of play snow. Sodium polyacrylate is so absorbent, you could even add more water than we did. Experiment for yourself to find the consistency you like! Once you have your Play Snow made, divide it in half. Add red food coloring to one half and leave the other half white. 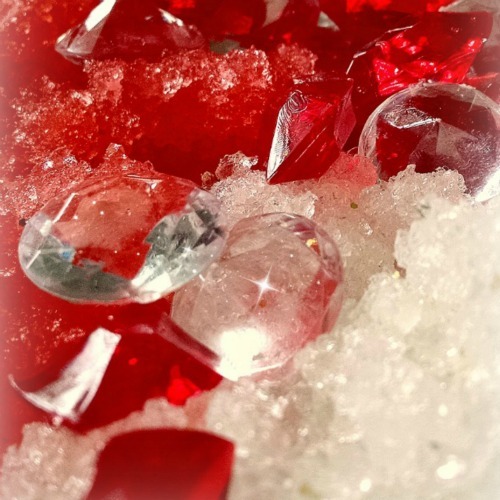 Drop in 1-2 drops of peppermint extract or essential oil for olfactory sensory fun, add some glitter if desired, and you are ready to go! I arranged our Play Snow into red and white stripes so it looked (and smelled!) like a candy cane and added some red and clear jewels from the dollar store. I wish I had a Maple Leaf to set on top for a shout-out to our Canadian readers! Next time 🙂 Then the kids dug in and PLAYED! **Play Snow is not edible, so please keep it out of reach of your babes and toddlers. Also, don’t wash large amounts of it down the sink. This stuff is really good at clogging drains. Throw it in the trash when you are done playing! This is very interesting, I would have thought the inside of nappies would be quite toxic, would you recommend this just older children? just when I did’t think their was any topping your original post on gel play! This is great!! This is so cool. We have some leftover diapers (open package) now that ours are potty trained and I can’t wait to rip one open and try this! Thank you! AWESOME! The perfect way to use a few leftover diapers!